Woah! That was our first impression when we set eyes on this beast of a machine. 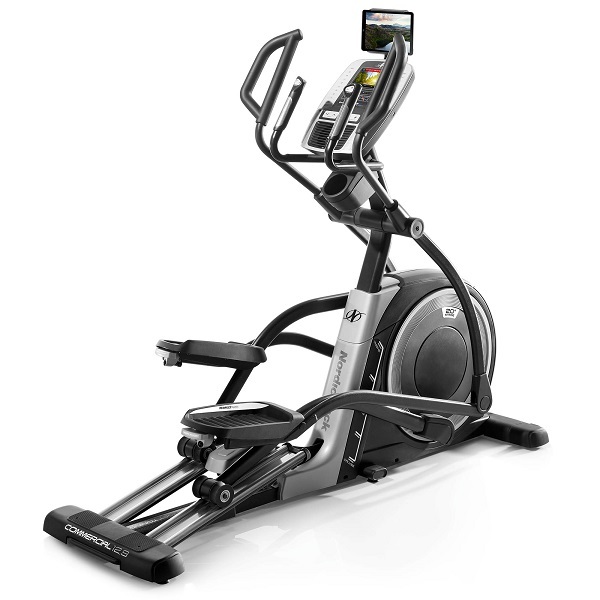 The NordicTrack E10 is a well built Elliptical trainer that performs just as well as it looks – and it looks superb. 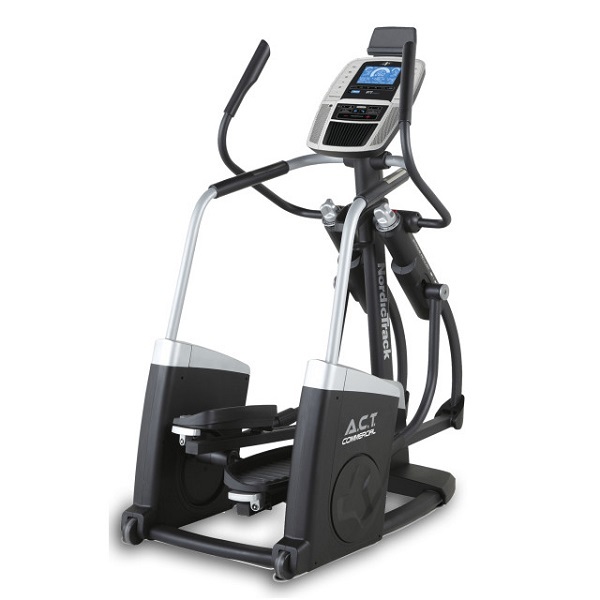 This cross trainer is absolutely loaded with features including a power ramp, 20 built in programmes and unique patented iFit workout technology to ensure both jaw-dropping looks and muscle toning workouts. It’s durable too, with a maximum user weight of 147 KG or a mighty 23 stone. 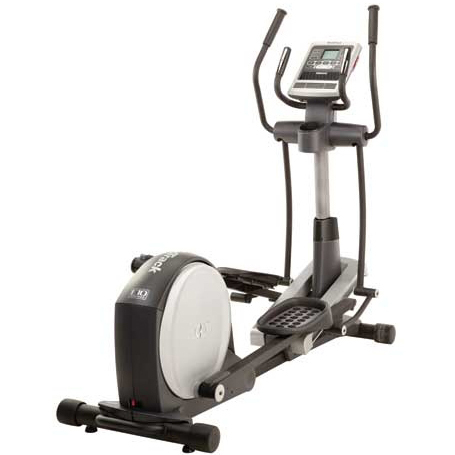 This makes the E10 a serious contender when choosing a cross trainer. So let’s tell you more about the programmes. 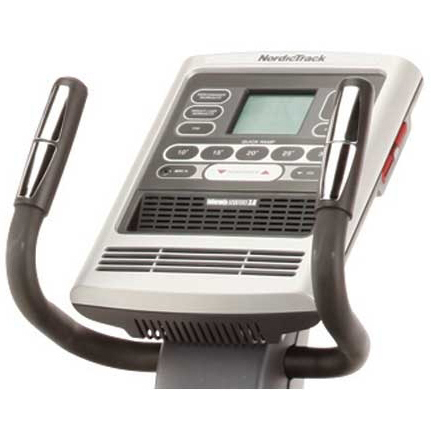 The NordicTrack E10 has 20 built in professionally designed workout programmes. 6 of the workouts are dedicated to weight loss and the other performance workouts focus on fitness. Your progress is neatly displayed on the LCD screen. We quite liked the console on the E10, although for such a high spec machine we would have preferred something a bit more 2010. Let’s be honest, it’s not something most people get excited about, but when the information on a display is clear and easy to read, it gets a point from us. So that’s a point to the E10. To unlock the full power of the heart rate control you will need a compatible heart rate monitor. We used a Polar belt and had no problems. You can get a reading from the built in pulse grip sensors, but don’t forget that you won’t be able to benefit from the heart rate control. Just to let you know! Should you wish to expand the functionality, or refine your workout to even more specific goals or targets, the E10 is compatible with the iFit workout cards. These cards provide voice feedback on your progress as you make your way through structured and professionally designed, 8 week workouts. Just slot an iFit card into the console and follow the instructions – it’s that simple. 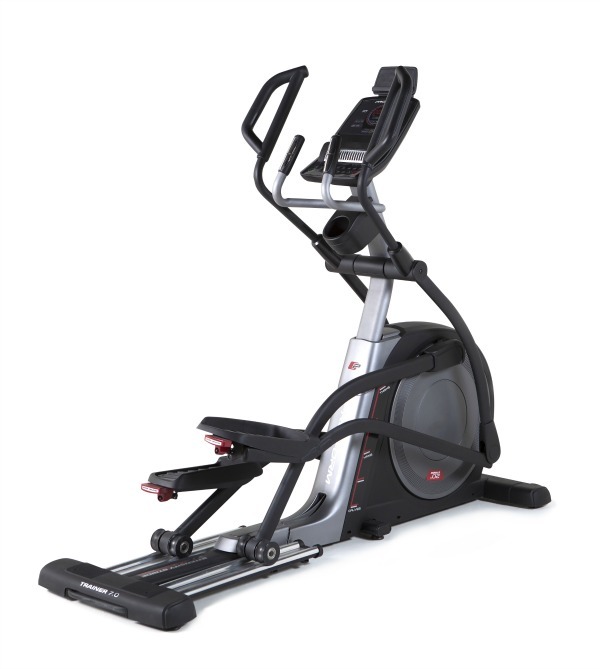 The workouts benefit from the adjustable incline. The power ramp can alter the incline from 10% to 30% which effectively changes the muscle groups being worked. 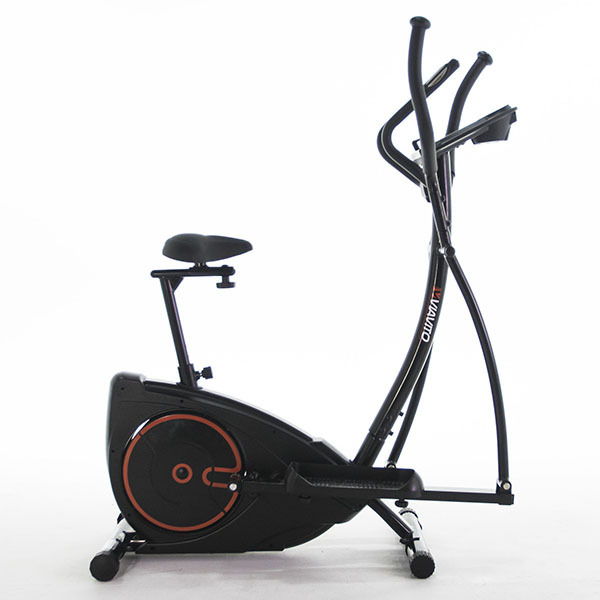 We think that should be sufficient for all users and makes the E10 3 times the cross trainer compared to most, especially combined with the heart rate control and 6kg, rear loading flywheel. The E10 also has a couple of extra features that although are not a “must have”, certainly make the workout more enjoyable. 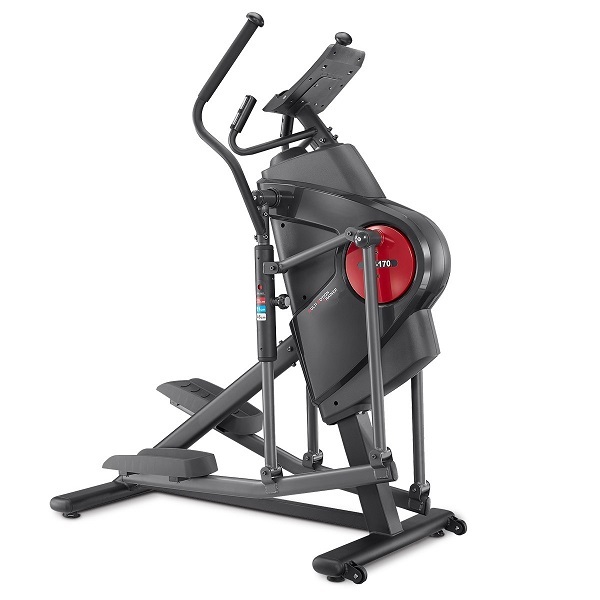 With a design that wouldn’t look out of place in a gym, the NordicTrack E10 is built to impress. What’s more, despite it’s large size, it does fold up neatly to about half its operational glory when not in use. 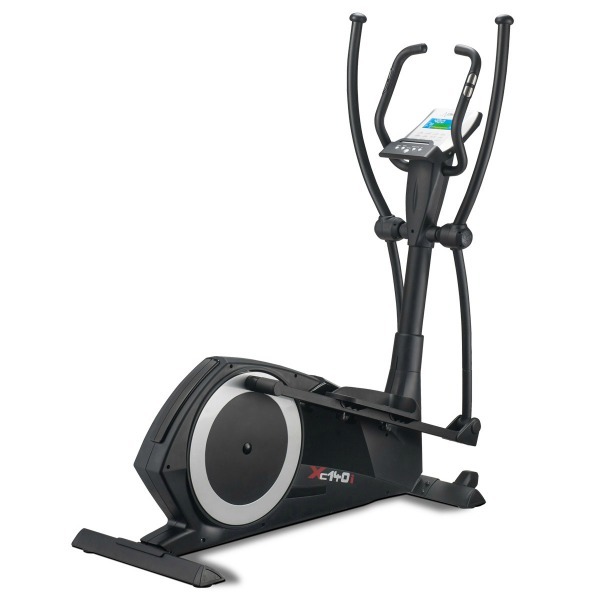 We found it to be one of the best cross trainers in the price range and would heartily recommend it to any user, but especially those looking for a machine that is built to last with the flexibility to expand workout options. The Nordic Track E10 is not currently available from any retailers we're aware of in the UK. 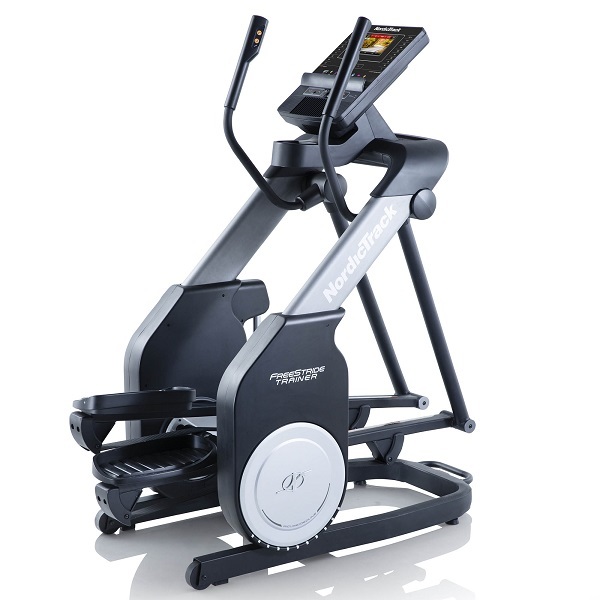 The E10 was the first of the current generation of folding, rear drive cross trainers from NordicTrack. 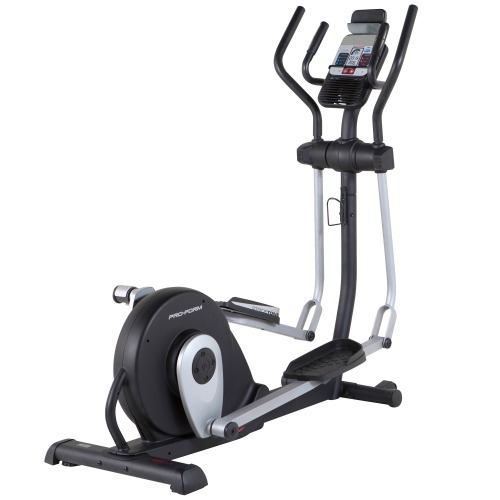 At under £700, this Nordic certainly represents a hell of a lot of elliptical for the money. 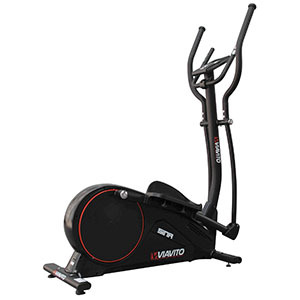 However, if you're considering this machine, we'd recommend also having a look at the Nordic E11, which is available for the same price but with a heavier flywheel and iFit Live compatibility, rather than the original iFit SD. You can use the built in speakers to play music from your mp3 or CD player. Granted, it's not going to replace the hifi, but it is a nice feature. Having the option to play music is better than not having it, that's for sure! The same can be said for the built in fan. Some may appreciate a blast of air along with a blast of music, its your choice.